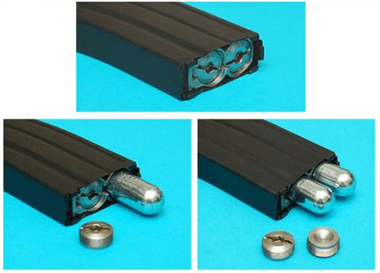 Not China-made RC LIPO batteries!!! 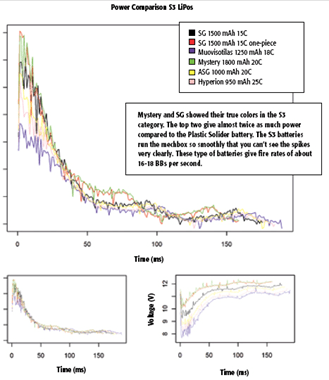 "The results: Looking at the difference between RC and airsoft manufacturers’ batteries, the results were favourable to the airsoft batteries in the S3 class. Especially the Socom Gear S3 1500 mAh 15C solid pack exceeded all expectations and achieved the best result in the power test." 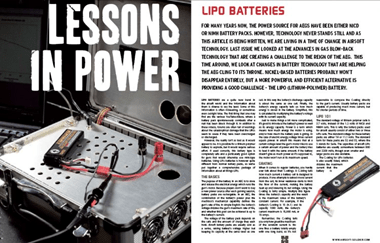 "The tests showed that the traditionally shaped Socom Gear batteries proved to be very effective and powerful batteries." 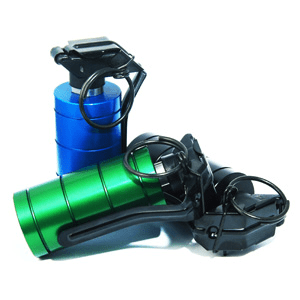 "C-ratings could only be measured for S3 batteries because of equipment restrictions. 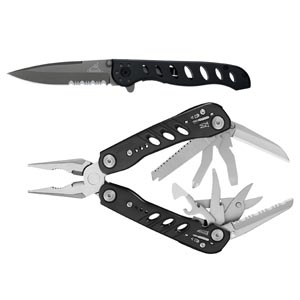 Socom Gear’s products gave as much as the pack promised, but the RC batteries were a bit short of their objective." 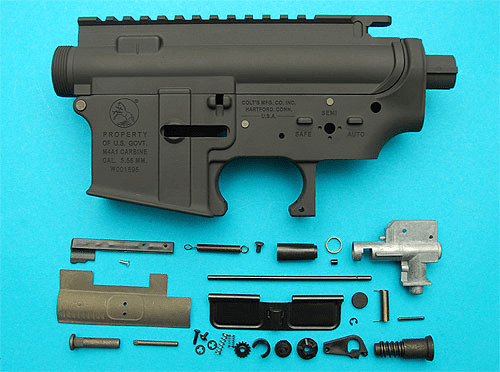 Our NEWEST Buddy Thunderstorm from Team AIM over at NCAirsoft.org was having some feed issues with his BRAND SPANKIN’ new G&G M14. 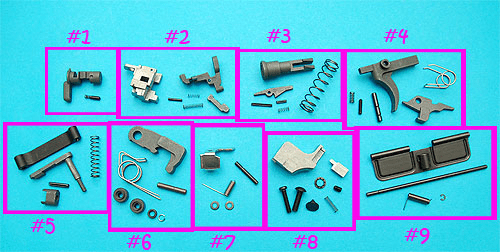 So, in tearing it down, he found an interesting issue and an INNOVATIVE fix…better explained in these photos he shot. 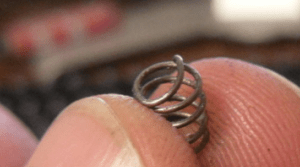 Read more and find out how Thunderstorm fixed the problem. 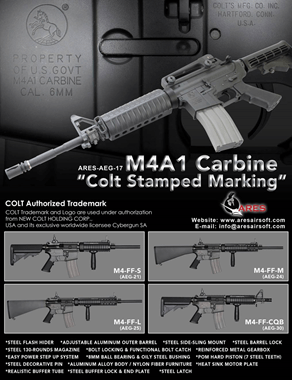 Dear Arnie, ARES hit items DSR-1 and M4 (Stamped COLT Marking) will be back in stock in May and pre-order is available now! Don’t miss the chance and send your order as soon as possible! We had a few hours planned downtime last night whilst the main server was taken offline to have a logic board replaced. The work has been completed and that should (fingers crossed) cure the minor niggles that we’ve had since the move of irregular loading. It appears that the secondary SATA controller was duff and causing backup routine issues. Mechanix MPACT Coyote Tan Covert Gloves are an ideal light desert assault glove, for military or close protection use. 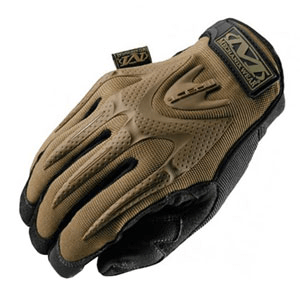 Mechanix MPACT Coyote Tan Covert Gloves, light, protective and great value – Hard-wearing, light, designed for coolness Mechanix MPACT Coyote Tan Covert Gloves, feature strategically layered synthetic Clarino palm padded with EVA foam and a low-profile elastic cuff for mobility. Mechanix MPACT Coyote Tan Covert Gloves are anatomically designed for a comfortable fit. 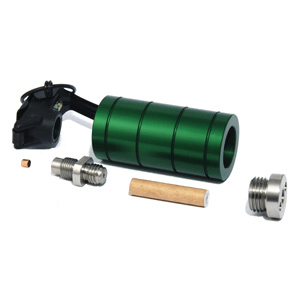 The flexible, bonded TPR finger ribs and knuckles supply critical protection. When you require a greater degree of sensitivity, reinforced finger bands resist impact in high exposure areas. Secondary foam padding covers inner index finger and thumb for added protection in high-wear impact areas. 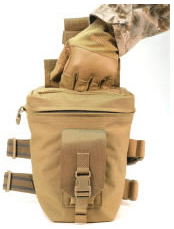 Used for loose ordnance, empty magazines or evidence/contraband – Blackhawk OMEGA Drop Leg Dump Pouch features easy-access 9 YKK® dual zipper closure, top hook & loop flap over two overlapping layers of heavy duty elastic allows quick drop of items into the pouch, but keeps them securely inside. 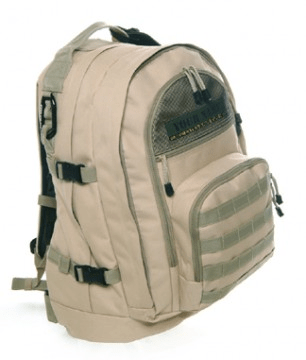 D-rings to allow over the shoulder wear with shoulder strap 3×6 front accessory pouch with side release buckle and hook & loop closure. 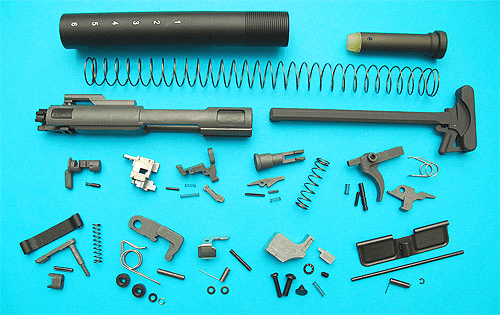 About us: Tactical Airsoft Shop was founded 2 years ago by 2 players who wanted to provide affordable, reliable products and services that airsoft skirmishers deserve! The founders [named removed by request of submitter] started playing airsoft at sites in Surrey/Kent in 2006. 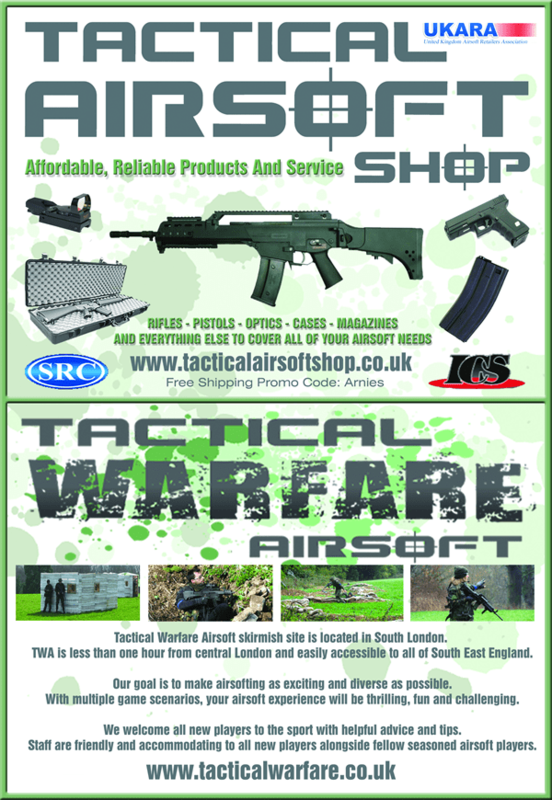 As we are experienced airsoft players we believe we are in the ideal position to understand player’s needs. 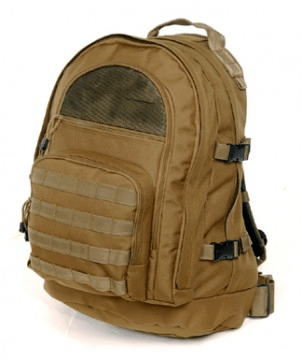 We became UKARA registered retailer in September 2008 and we also sell at our game site Tactical Warfare Airsoft which we opened in June 2009. Our site is located in Croydon/Biggin Hill and is member of UKARA and UKASGB. We are online retailer only. 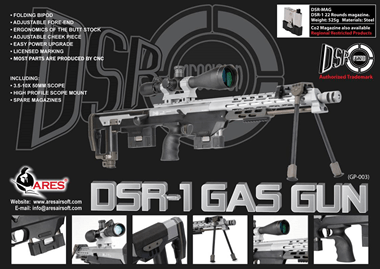 Latest kit from G&P Industrial Co., Ltd including the rather lovely looking Deluxe Sentry. 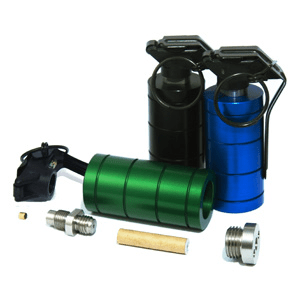 Hello, we have released new products! On April 30th, 1980 six armed Iranian men stormed the Iranian Embassy in London taking twenty-six people hostage. Six days later the SAS ended the siege, killing five terrorists and capturing one. It was the operation that propelled the SAS into the public eye and firmly established them as the worlds’ best counter-terrorist unit. 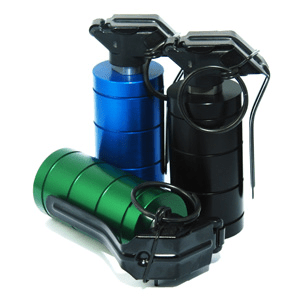 With SFx Airsoft’s Sector 36 at Copehill Down just around the corner, 15th-16th May 2010, TLSFx are pleased to offer 10 lucky people the new T5 NFDD grenades before they are available in store. 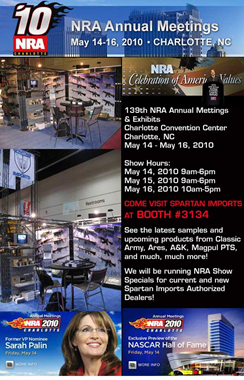 NRA Show 2010: Spartan Imports booth #3134! 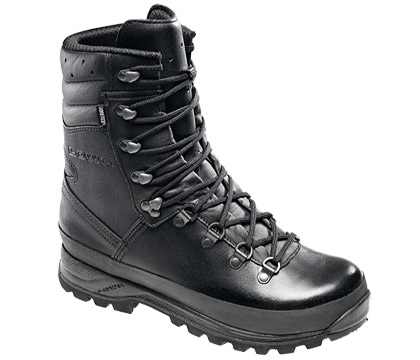 Tactical Kit are now stocking LOWA boots and Bugout Backpacks. 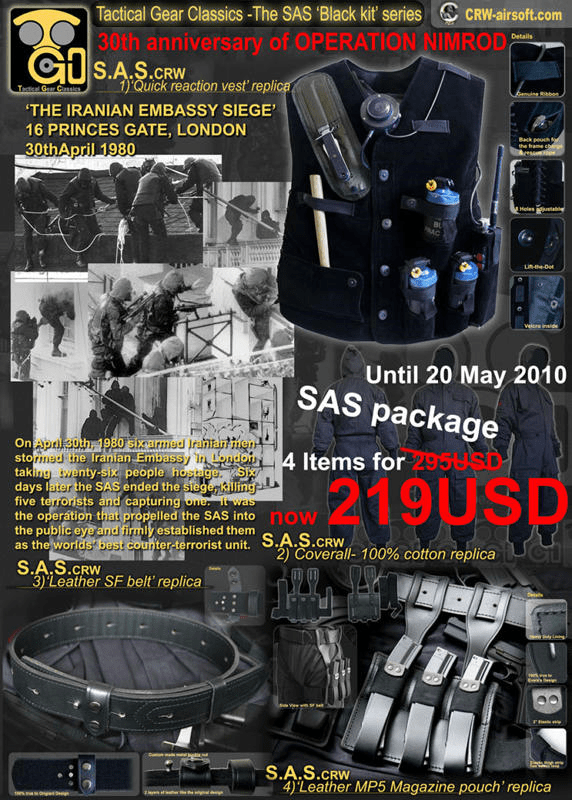 Please visit www.tactical-kit.co.uk to view these items and many other products from leading tactical brands. 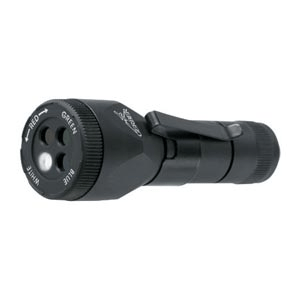 To celebrate the launch of our new website anyone who orders during the month of April will automatically be entered into a free prize draw to win a Surefire E2L Outdoorsman worth £145.00.